She's fashion forward, can check the weather and even do a little dance. Smart home speakers like the Echo and Google Home can tell you the weather, play music and look up stuff for you. However, they stop short of attaching a face to those actions, and certainly don't have any sense of sartorial style. 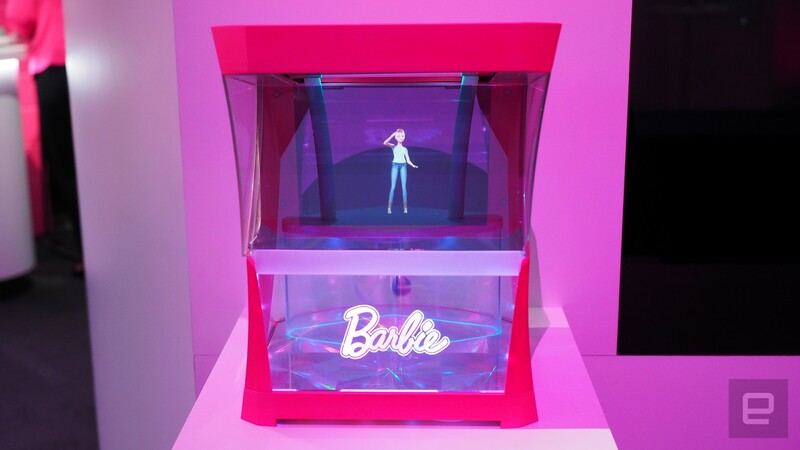 Mattel's latest creation, the Barbie Hello Hologram, rectifies that by placing the iconic doll into her own tiny holographic world and letting children talk to her directly. She can chat about the weather, crack corny jokes and even dance. Barbie can dab with the best of them. This isn't in the same category as the smart speaker that Mattel introduced back at CES. The Aristotle is essentially a caretaker for your child, starting out as a baby monitor and growing up with the child to serve such functions as a night light and storyteller. The Hello Hologram is more of a friend. She doesn't control anything and can't order from your favorite shopping site -- a relief to parents, for sure. What she can do is answer simple questions, keep a calendar and even change her looks. That means not just her clothes, but also her hair and skin tone for a truly personalized play experience. 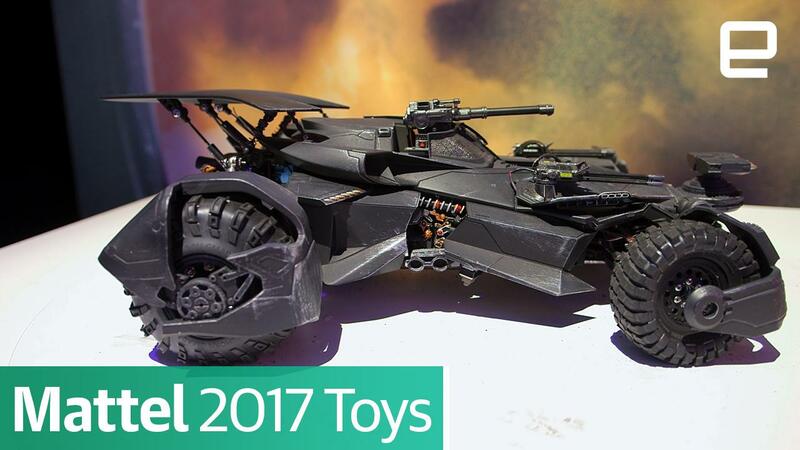 The demo on display at Toy Fair only had three types available, but more will be added to the final product before launch. Though the holographic Barbie is a 3D computer animation, the projection itself is only 2D, and won't appear if you look at the box from the side. The tech powering Barbie's conversation skills is a bit more advanced: it's the same we saw in Hello Barbie and the Dreamhouse from previous years, and yes, there's an app. A smartphone isn't required to use the Hello Hologram, but it gives parents some control over their child's interaction with it, like setting a bed time so they don't sit up all night gossiping with the blonde (or brunette) avatar. Toys that listen to your children certainly have their share of privacy issues, but Mattel says no information is stored on its servers and claims the final product will be compliant with the Children's Online Privacy Protection Rule (COPPA). Data will be encrypted and parents can review everything the system collects. When its raining Barbie will run to her window and see actual cats and dogs falling from the sky. We have no idea what Barbie might see in other types of weather -- the demo on display at Toy Fair was a rough prototype and no date and price available are available for the Hello Hologram yet. We'll just have to hope virtual Barbie has a virtual parka in time for next winter.